Cauhé Manufacturer of machinery for graphics arts and cardboard packaging. 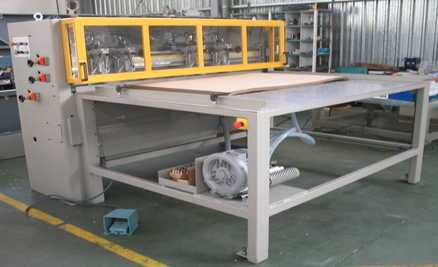 Talleres Casablanca is the manufacturer of Cauhé industrial machinery for graphics arts and packaging. 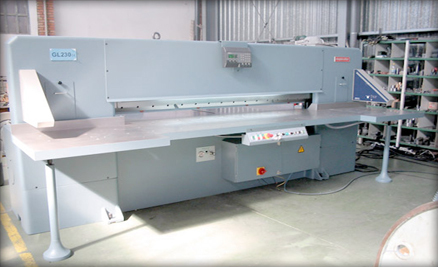 Up to date we have manufactured and rebuilt more than 5000 machines world wide distributed, mainly clamshell diecutters and paper cutter guillotines, being specialized in large format machines. Cauhé is known as indisputable leader in large format hand fed platens in graphical arts and packaging sector. We have a wide range of formats, options and customizations. Special formats available upon request. Manufactured from 170cms to 450cm. 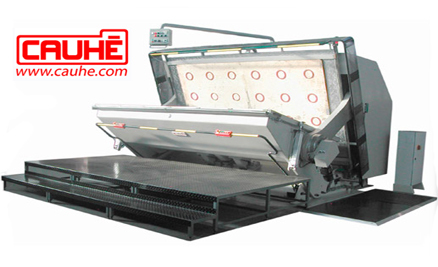 Cauhé industrial guillotines for paper and cardboard (also used with other materials as plastics, thin metals, carpets, fabrics...) are available in 2 ranges: Heavy duty and Medium duty series. Take a look to the differences. The Cauhé puzzle diecutter is a special diecutter version designed specifically for die cutting compact cardboard used in puzzles. The TP102 model is capable of die cut a 2000 pieces puzzle in one stroke. 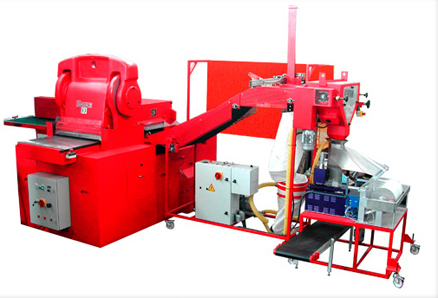 Our drilling machine has been designed for punching and perforation a stack of paper, cardboard and other materials. Configure the number of adjustable drilling heads you need and other customizations. Talleres Casablanca is the company that designs, manufacture and repairs all Cauhé machinery and many other machine brands as TCZ, cTz, Ibérica, TMZ, Crosland, Standard, Sutter, Powerpress, Simplacutter, Polar, ...(Brands registered by other manufacturers). We have been dedicated for over 70 years to the manufacture of top quality and customized machinery for graphic arts and corrugated industries and we are leaders in large format machinery.